I got home from Bluewater yesterday very excited. 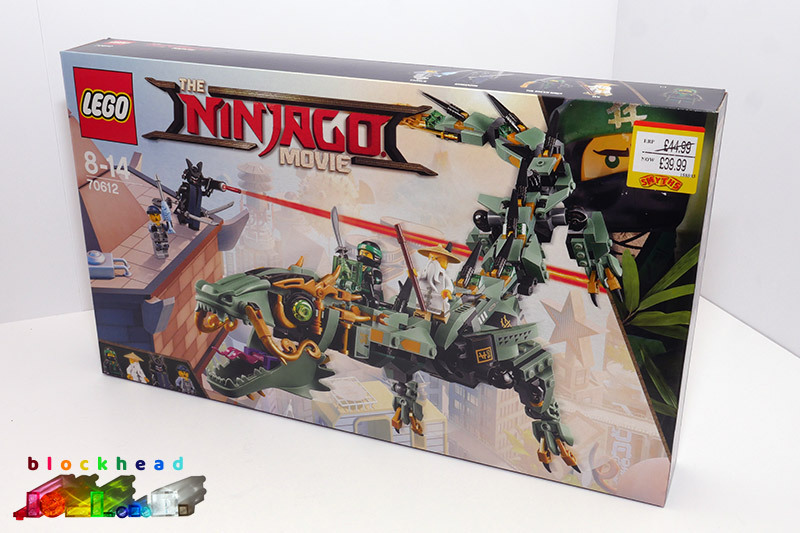 Not only had I found some great items on the PAB wall, I also had the lovely Ninjago City (70620) to build! There are a LOT of bags, but I set them all out on the table and sat down to begin. 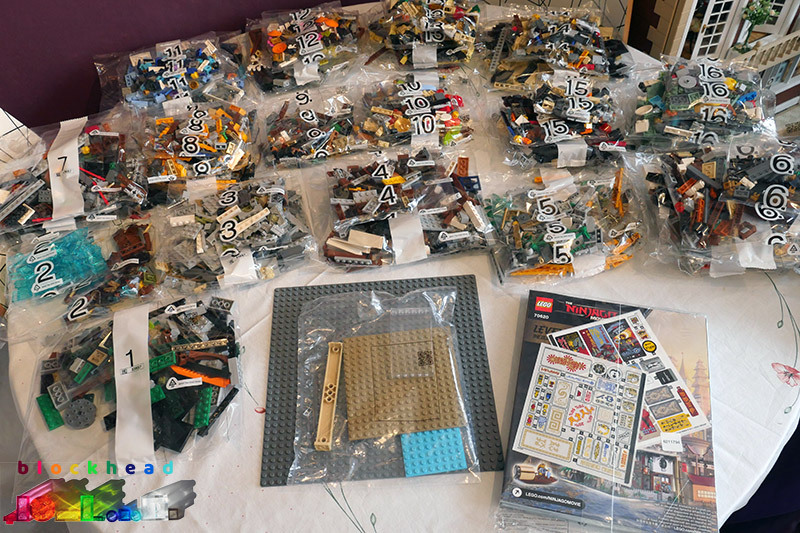 I will show you a picture at the end of each bag’s worth of parts, so you can see how progress went. At the end of bag 1, I was really impressed with the “under water” technique of putting various plates on the baseboard to give you variations in tones in the water. It’s going to look great when the tiles go on top! 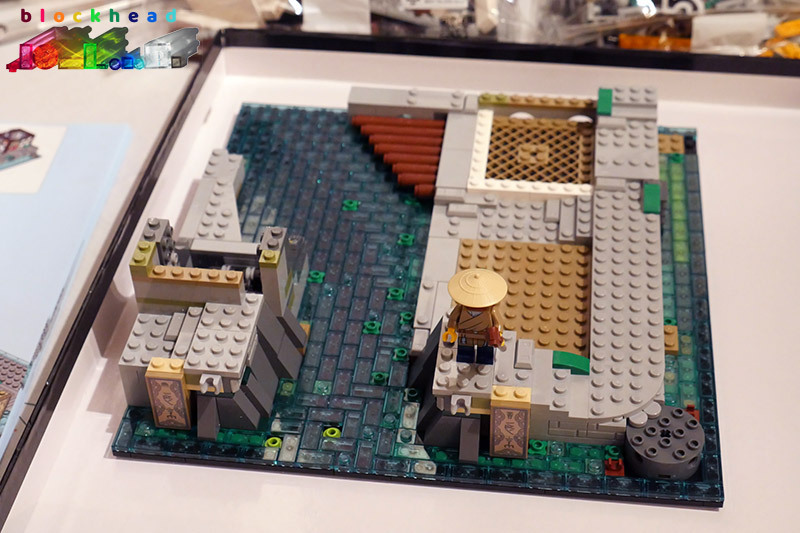 By the end of Bag 2, those tiles were on and looked great. Plus the little boat to float on top was also complete. I liked the technique for the bamboo jetty too. By the end of Bag 3, the foundations of the bridge were taking shape nicely. Bag 4 finished and Sweep the little garbage robot is complete, the bridge arch spans the canal and the two ground floor shops are looking good. 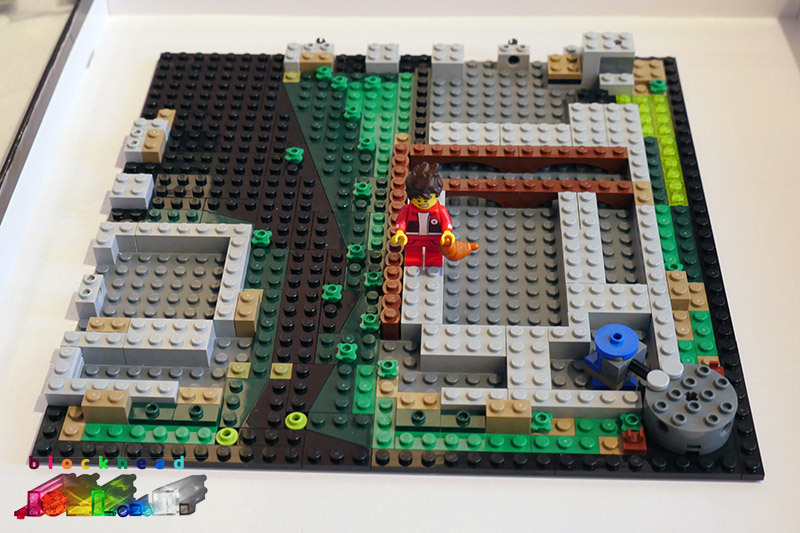 Bag 5 gave us some columns to support the first floor shops, and the start of the elevator shaft at the back. Bag 6 brought us to the end of the first book of instructions (there are three! 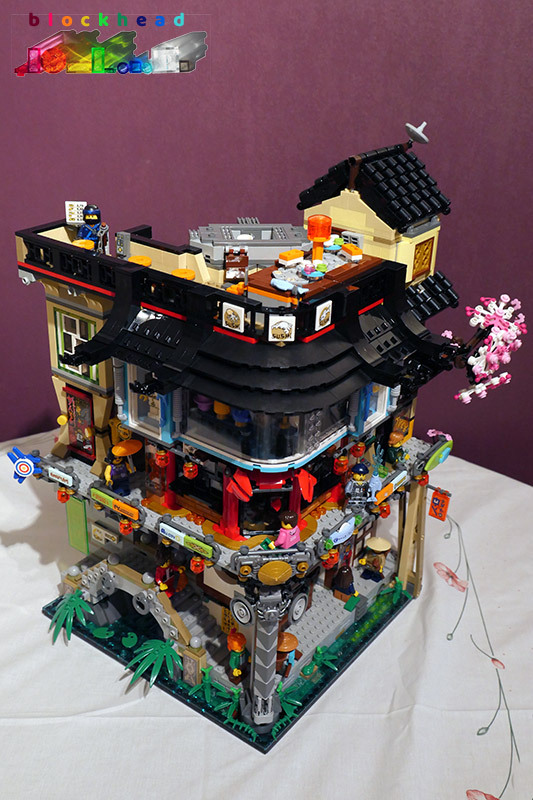 ), with the top floor of the Old Town done. I particularly liked the techniques for making the small overhanging roof sections on each module – all different and all very creative. 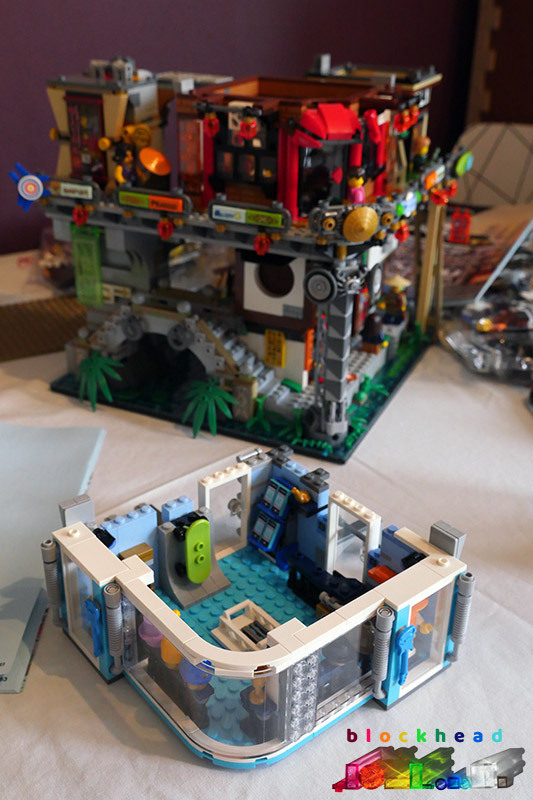 Bag 7 gets the Crab Shack well under way, one of the bigger builds on the second floor. It has a fun play feature with the grill which can be turned from the rear to cook the crabs! Bag 8 was familiar as this was the section I had helped to build at the London AFOLs Meetup last month. 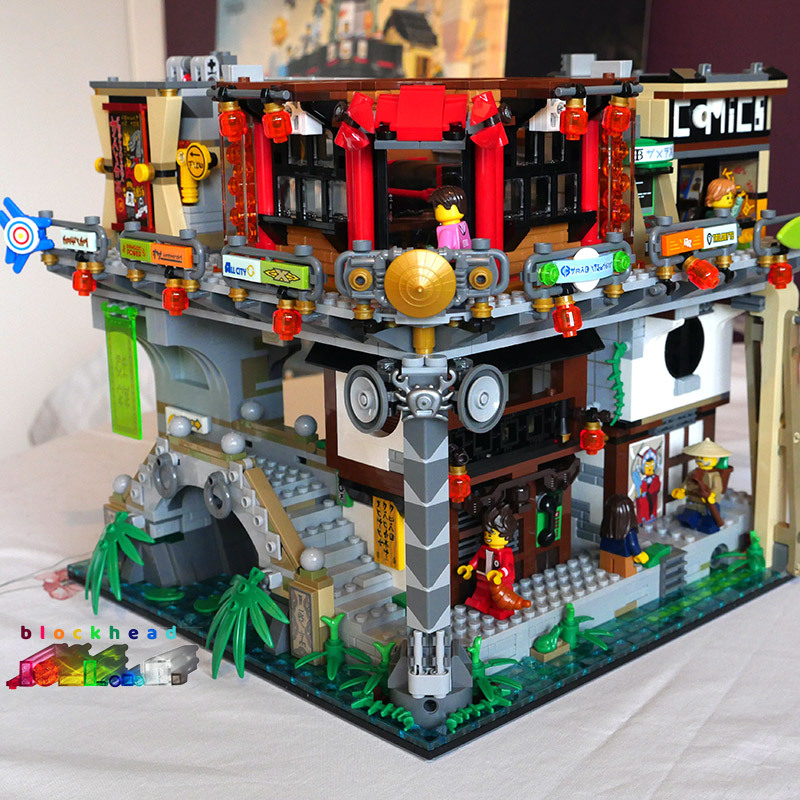 It makes the tiny but incredibly detailed Comic Book Store and behind-the-scenes structure for the clever ATM mechanism – which can be loaded with 13 $100 bills! 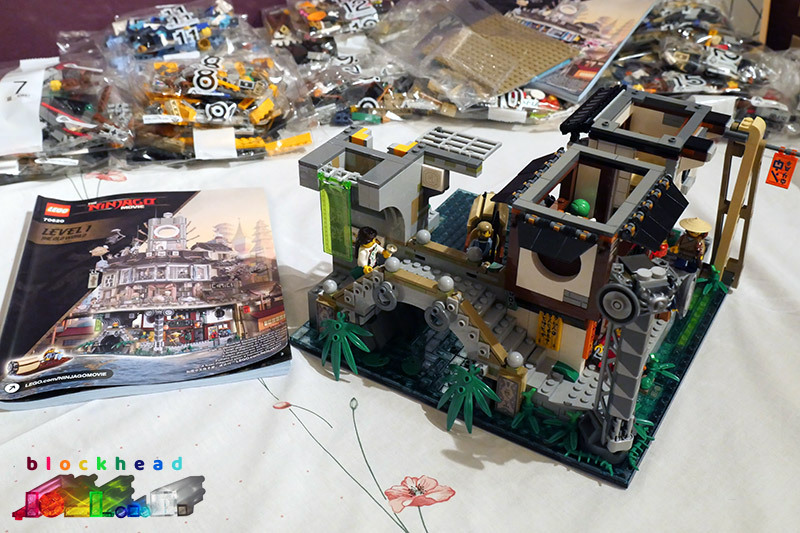 Finally, by the end of Bag 10, the raililngs are done, along with the advertisements and the half upper storey of the Comic Book Shop – which had some great SNOT techniques for making the shop sign. 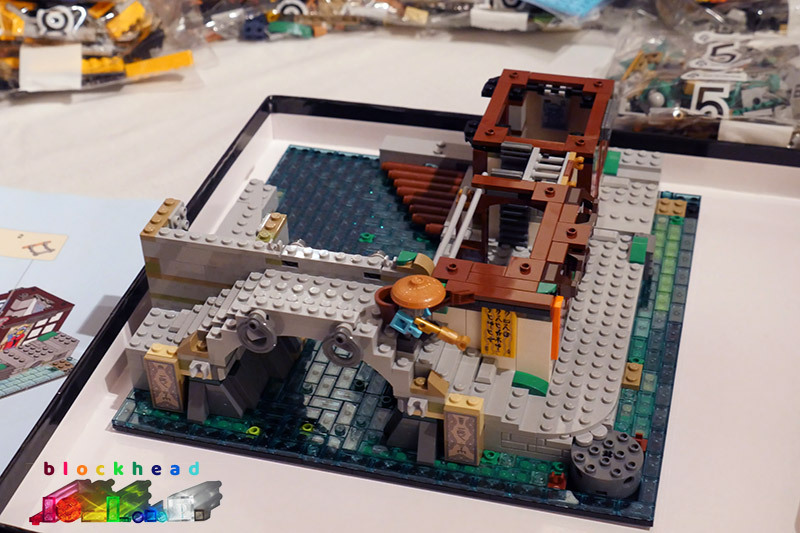 With that stage topped off, Bag 11 started the Gift Shop section on the next floor up. 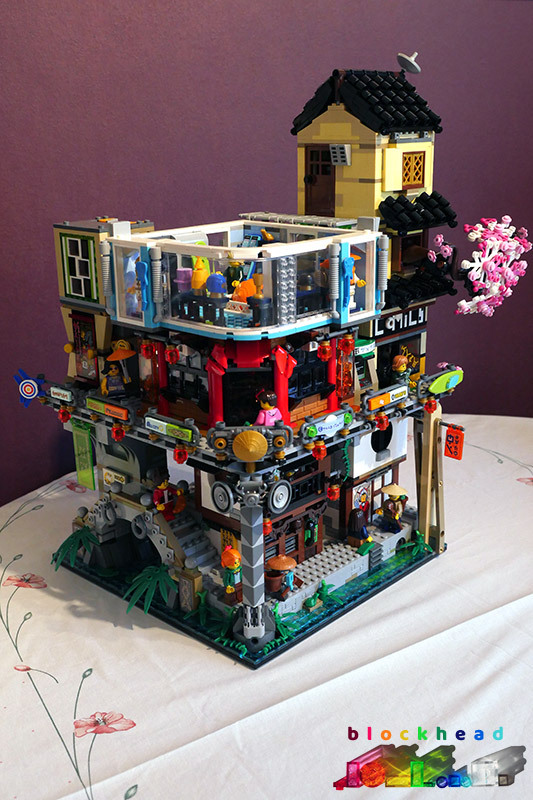 It carries an eclectic mix of stock, but I’m sure it’s what the citizens of Ninjaco City need! It’s also good to see the revival of the big curved trans clear window piece (2572) which hasn’t been in a set in that colour since 2009! 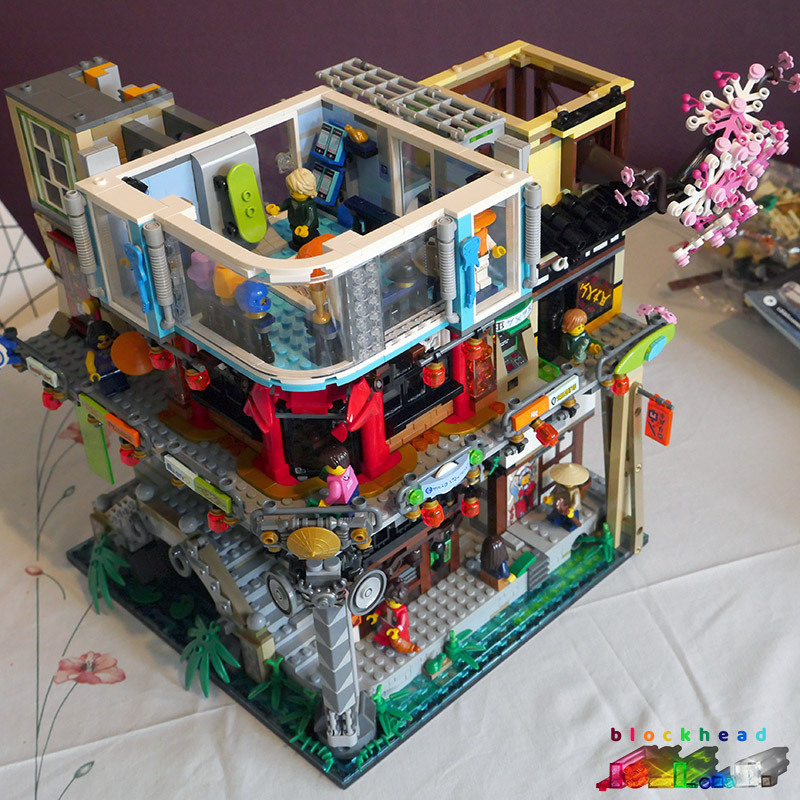 Anyway, onwards and upwards… To Bag 12, which provided the parts to build the erratic cherry tree growing out of an abandoned room next to the gift shop, and the sideways-snot window façade on the front side of the elevator shaft. Bag 13 – unlucky for some? 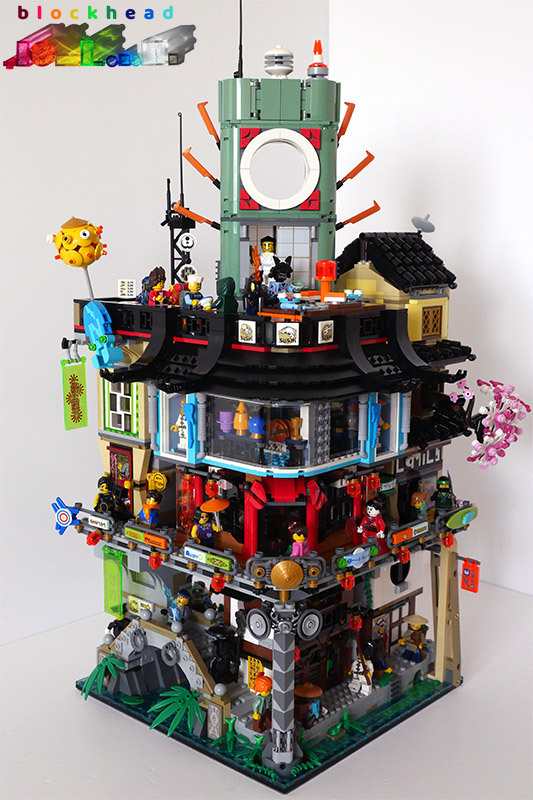 Well not for Lloyd Garmadon and his mum, as this provided the pieces to make their tiny, intricate apartment, which perches atop the cherry tree room. 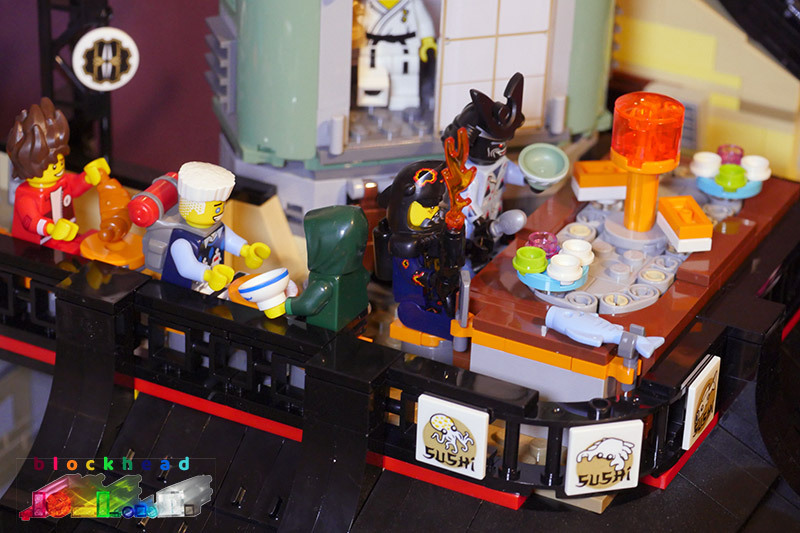 Bag 15 and the fabulous Sushi Conveyor is finished! 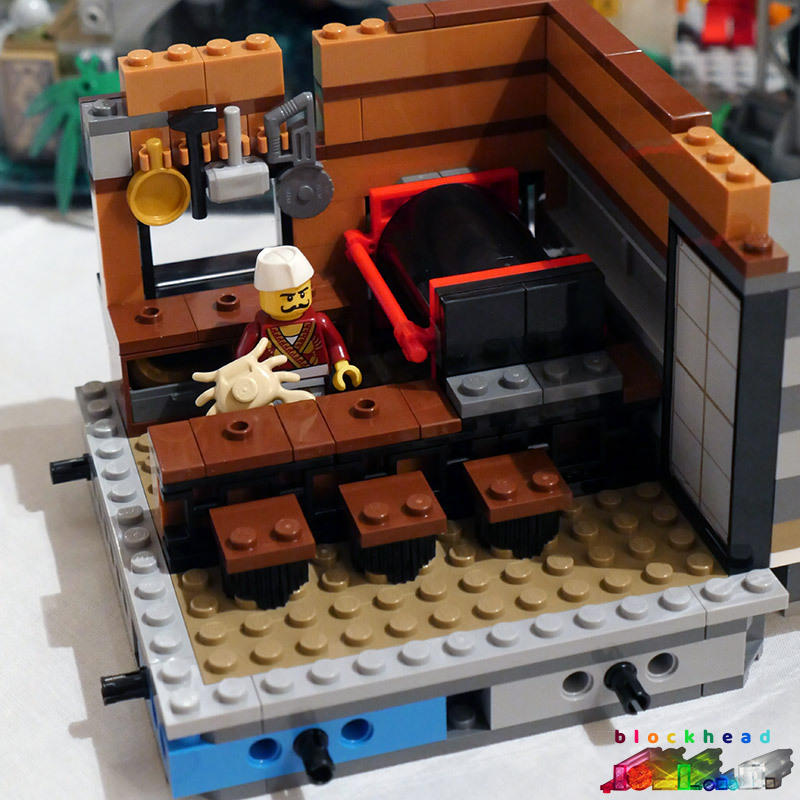 I loved it when I saw it at the London AFOLs meetup, and I love it even more now I’ve actually built it for myself. 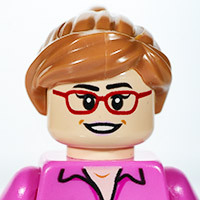 In fact, I think it’s probably my favourite feature having done all the others – and there are many highlights to this set. 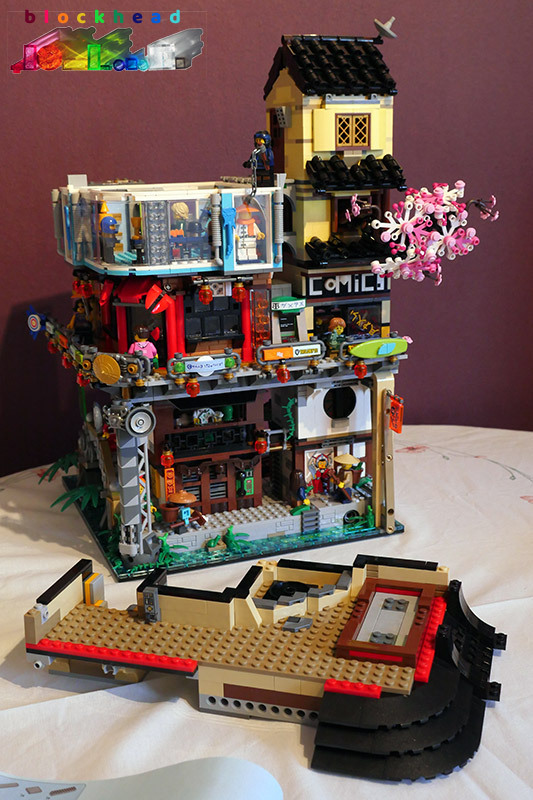 And finally, after at least 10 hours of building over 2 days, it’s done! Bag 16 tops off the roof with a little loo, some signage and a mad communications tower. Well, what can I say. 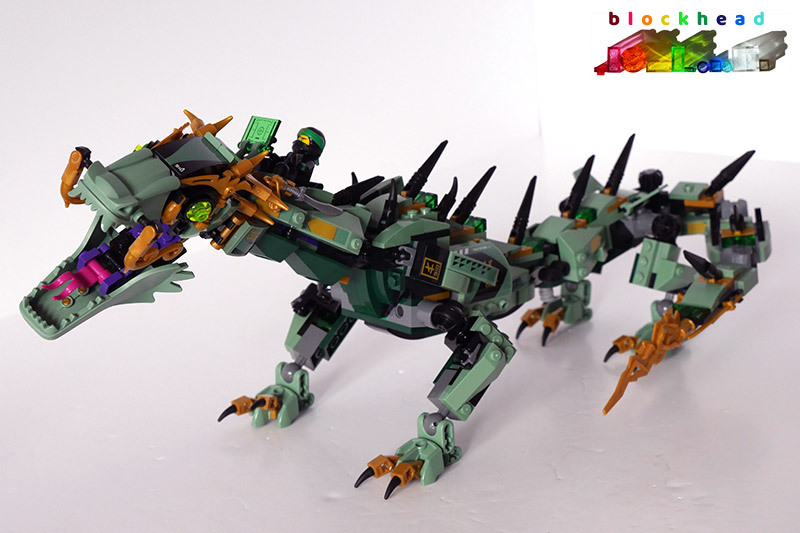 I hate the over-use of the word awesome, but it definitely is an under statement for this set. 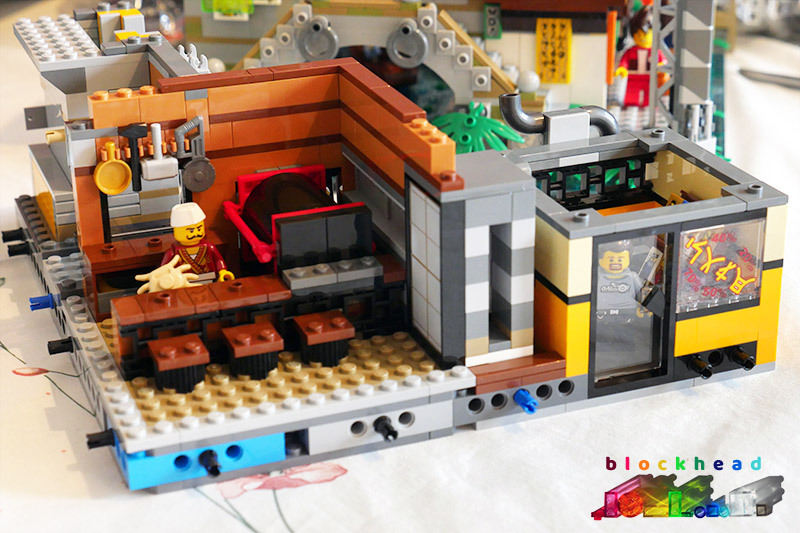 It had so many different techniques and little details to delight as you were building. 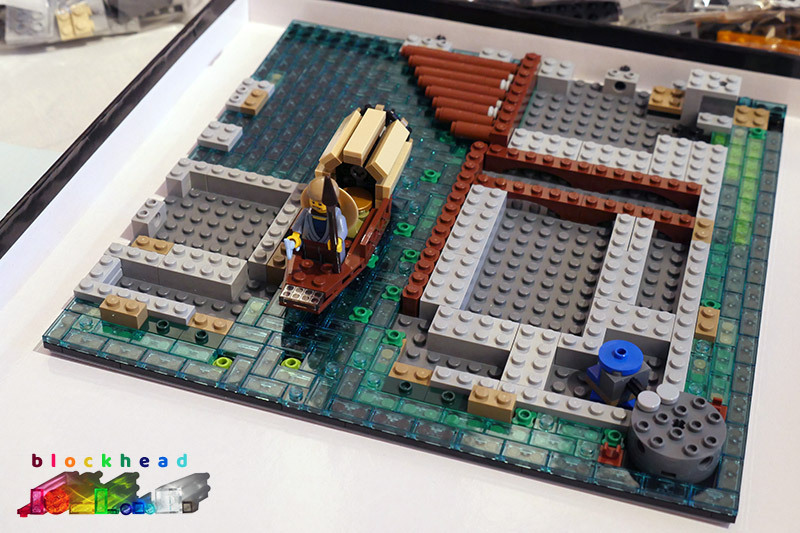 While it might not be the LEGO set with the most pieces, I’m pretty sure it’s the one with the most different elements. 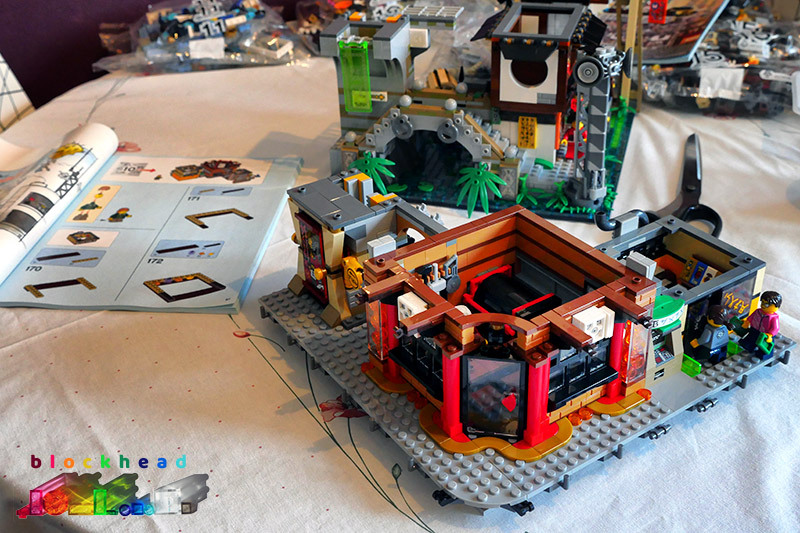 There was a huge variety of pieces in the set, and a mind-boggling number of bags to open and sort, but the clear instructions made it a hugely enjoyable experience. 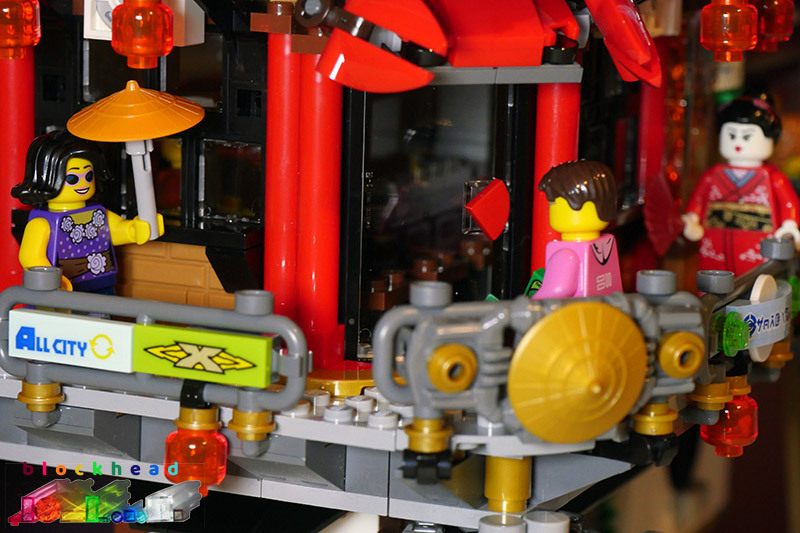 I have now populated the City with a few extra minifigs from my collection, to make it a bustling metropolis. Spot anyone you know here? 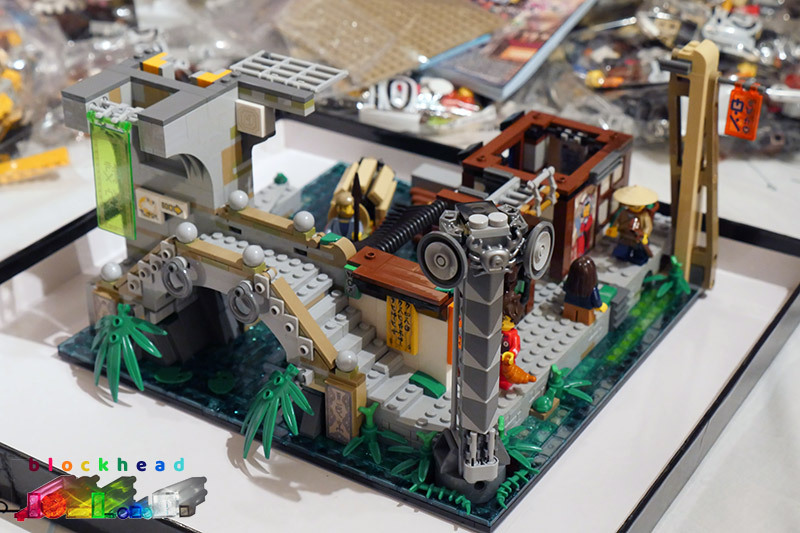 With rumours of another big Ninjago-themed set coming in the summer of this year, (Ninjago Dockyards 70657) which will apparently connect to this model via the Technic pins on the base, I’m really excited to see where this theme is going. Let’s hope the new set is as good as this – although it’s a very hard act to follow.